Our Boot Camp classes is an inclusive program open to all and adapted to fit the needs of special populations with learning and physical disabilities. 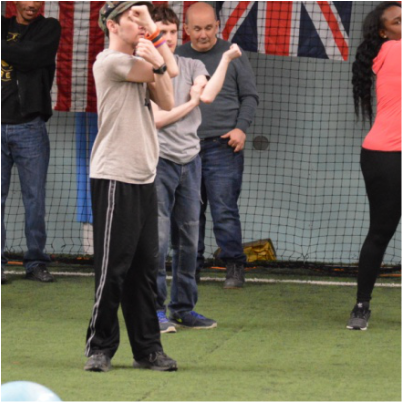 Each class includes physical activities targeted to improving the functional fitness level of every individual who attends, in a spirited loose and flowing manner to inspire participation. As the individuals become familiar with the activities we encourage participants to take turn leading the group, taking responsibility, showing leadership and fostering self-confidence. It is recommended that individuals have a doctor visitation before starting class for approval for these activities and again at the end to check outcomes of the session. We also require information on any restrictions to activities. Our instructors are available to answer any questions. The first class in each session will be a base line testing of conditioning. Classes move through a circuit of body weight activities that will emphasize individual challenges of strengthening, endurance, agility, and balance. Enhancing coordination, task sequencing, supporting each other, and team building are the major focus of this class.